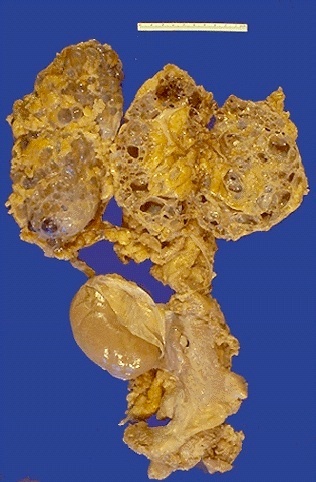 The cut surfaces of these kidneys in a patient with ADPKD reveal that the parenchyma is replaced by large cysts. Note how large these kidneys are in relation to the normal sized transplanted kidney. What gene mutation is most likely present with ADPKD?